Swimming pools and water features in Perth. 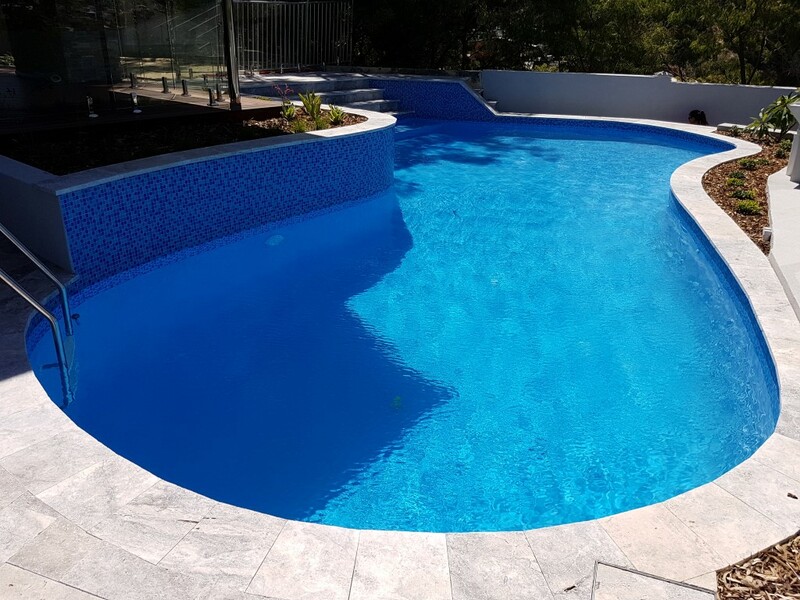 Westralia Pools is Perth’s leading concrete pool builder, that specialise in designing and constructing quality swimming pools and spas to suit any space. 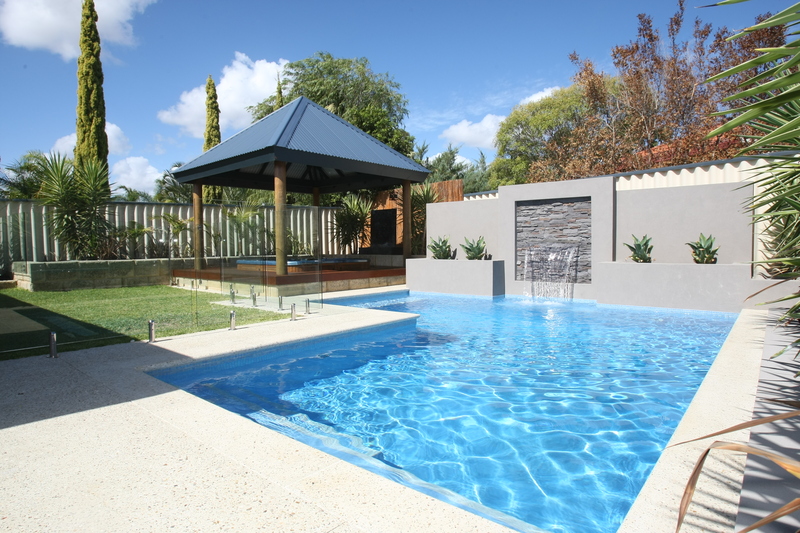 Westralia has over 20 years experience building pools in Perth Western Australia with local knowledge and professional expertise. 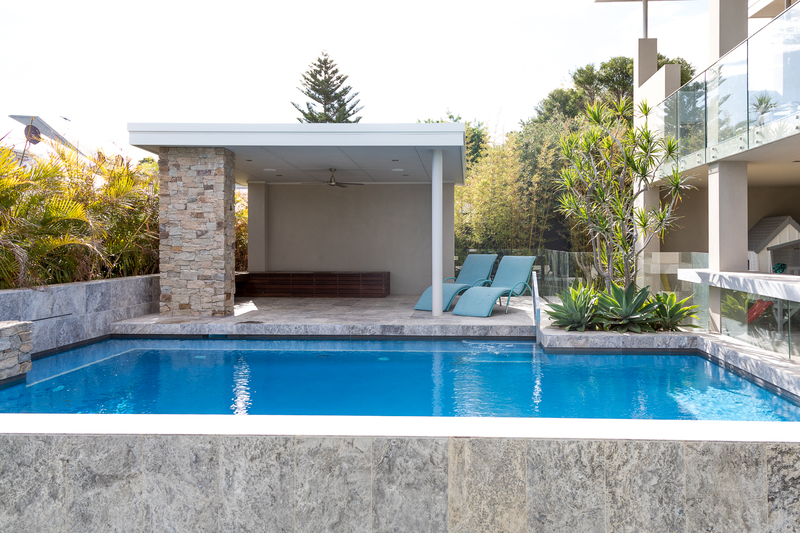 If you are building a new home, there is no better addition to the plan than a concrete pools Perth. 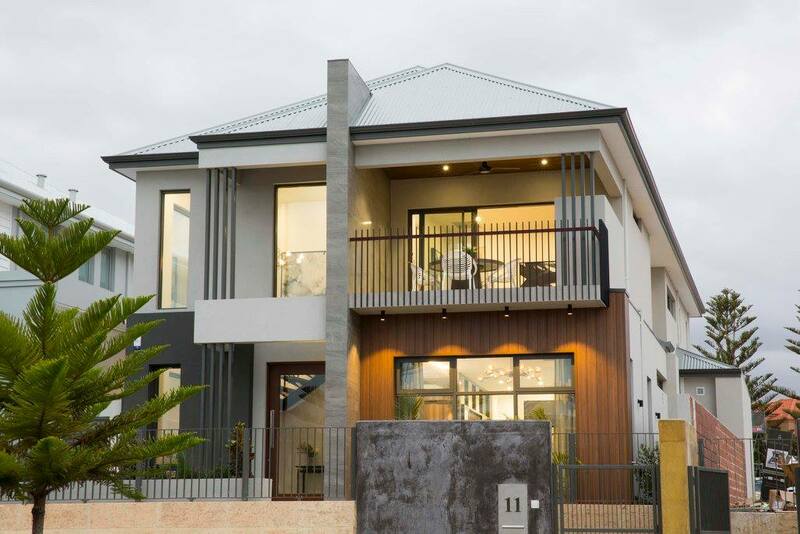 Westralia works together with numerous local house builders, construction companies, architects and landscape designers to create swimming pool designs that complement the architecture of the new house and its surroundings. Have an existing property and would like to add a new pool? 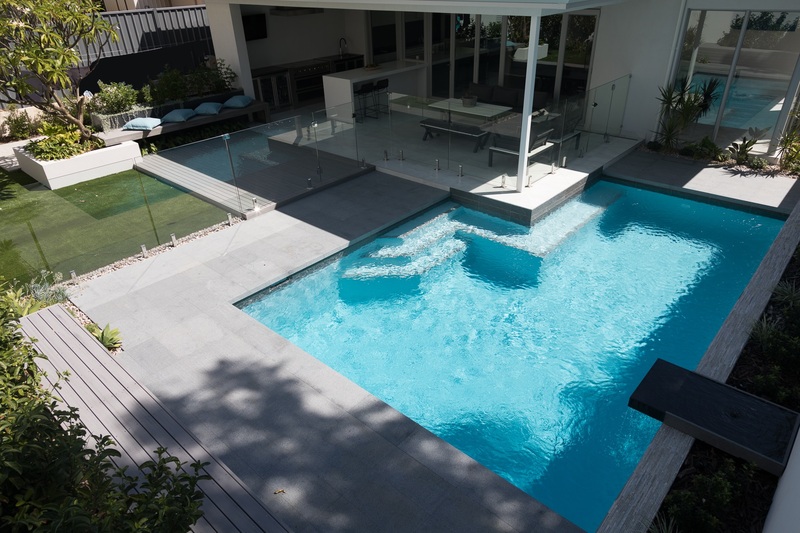 We can design a pool to suit your existing backyard. 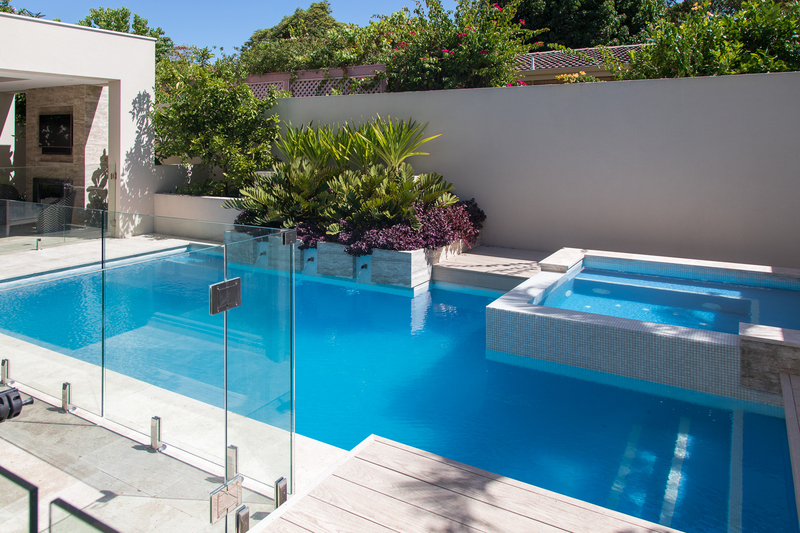 Pools can be built close to your existing house and boundaries to maximise the space available. 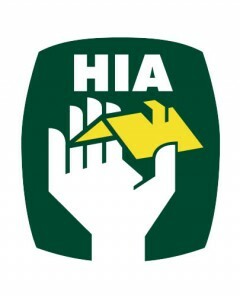 Are you a house builder, landscape designer or architect and need a quote for your client’s pool? Please contact Westralia to discuss on 9307-1024 or simply email us your plans and we can provide a detailed quotation. Need your existing pool renovated? 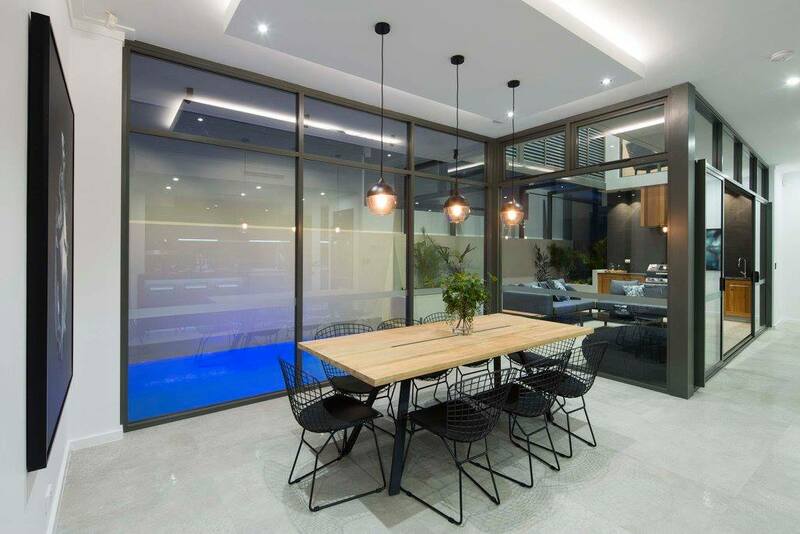 Westralia re-plaster swimming pools in a Quartz finish. We can also re-tile the waterline tiles, lay new header pavers around the pool and pave the pool surroundings, update to LED lighting, renew the filtration system and modify the structure of the pool. 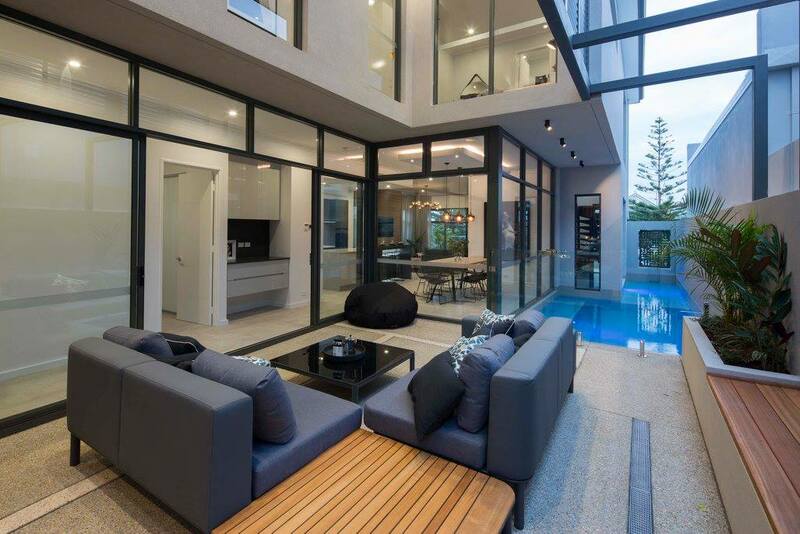 We can also add heating options and glass pool fencing. 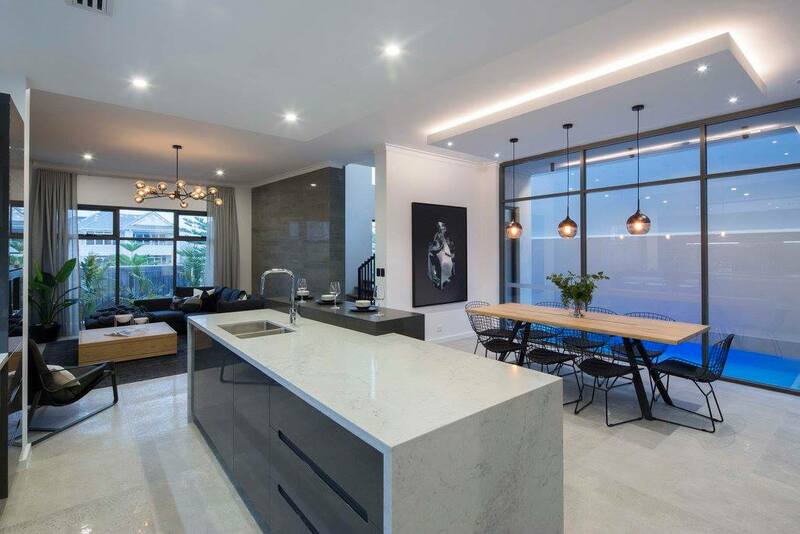 Trendsetter Display Home at Harbour Rise Sorrento. 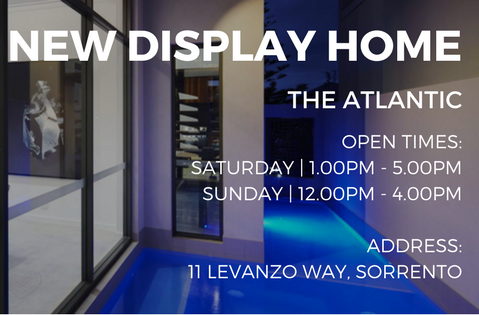 Feel free to browse through our gallery and view the designs of our swimming pools and complementing water features. 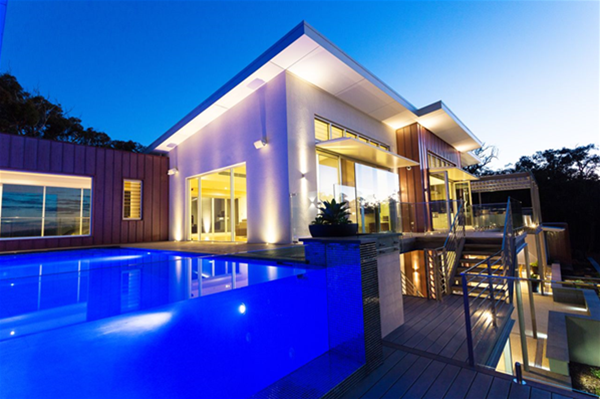 All images in our gallery are examples of the swimming pools and spas that Westralia Pools have built in Western Australia; they are not just images sourced off the internet. We take inspiration from the client and the backyard surrounding to create a pool landscape design, that is unique to the client. Each and every design is part of the overall property design, seamlessly fitting in with the home and garden. 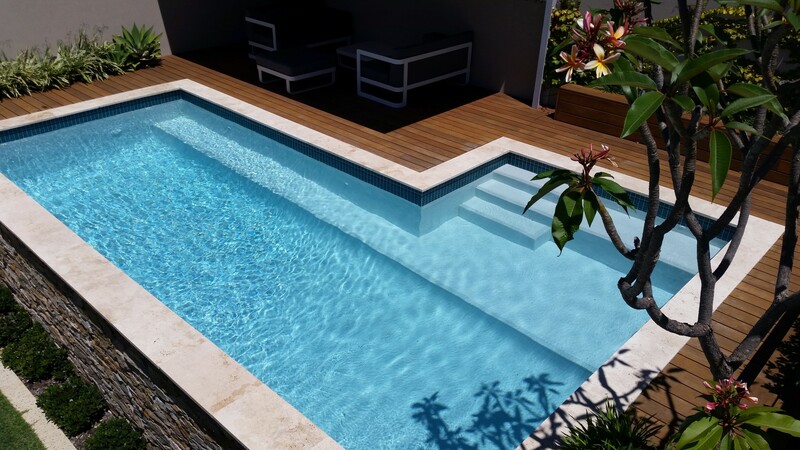 Westralia has a passion for customer satisfaction and will work with you to design a pool to suit your needs. 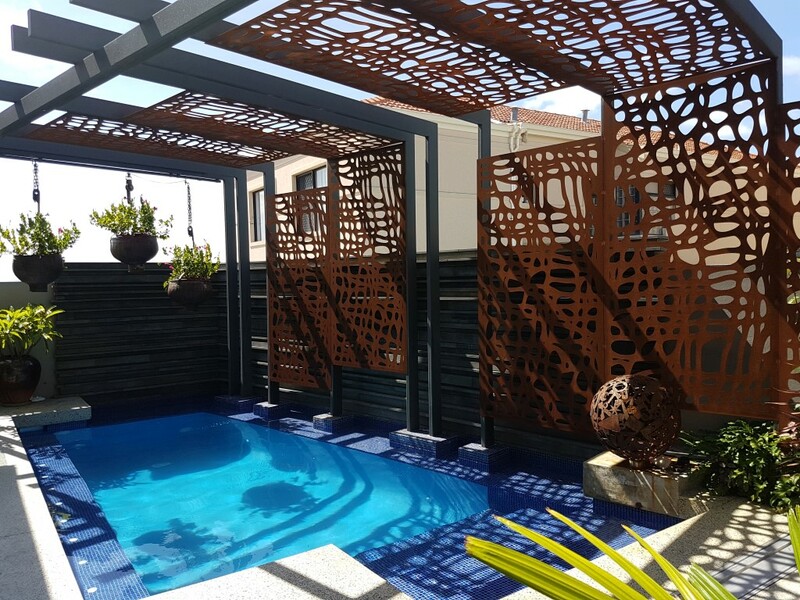 Our expertise also includes stonework, paving, planter boxes, rendering and water features; offering the client the option of hardscaping the total backyard area and ensuring the swimming pool design complements its surrounds. For clients who would like superior landscape design we can work together with elite landscape designers to create a backyard paradise that can only be created by joining ideas of prestige pool builder with local elite landscape designers. 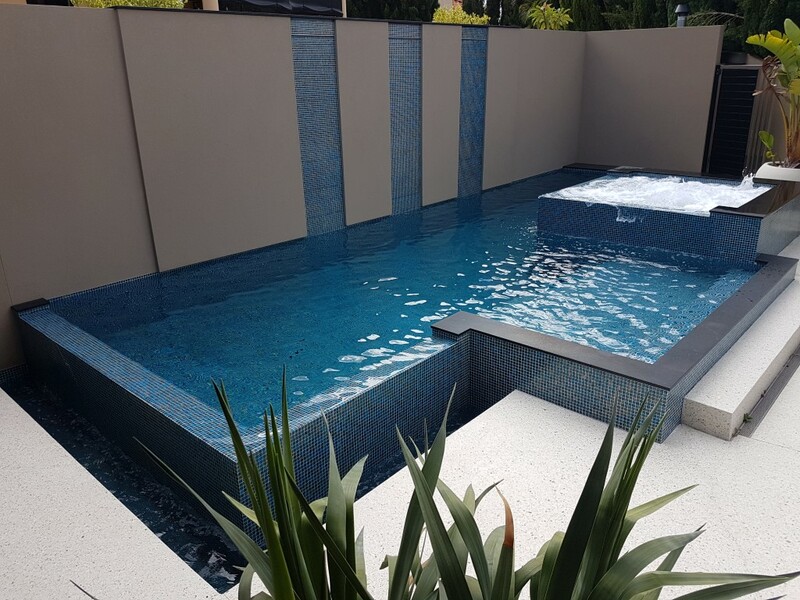 We have over 20 years experience in building pools in Perth and our focus is to build individually designed swimming pools that residents can have tailored to suit their individual lifestyle, while delivering personalised service and quality workmanship. Our team can create a unique design to suit your requirements or we can work with your architect, designer or builder to realise your dream. If you are looking for a company who can provide high quality swimming pool design, your search stops here. 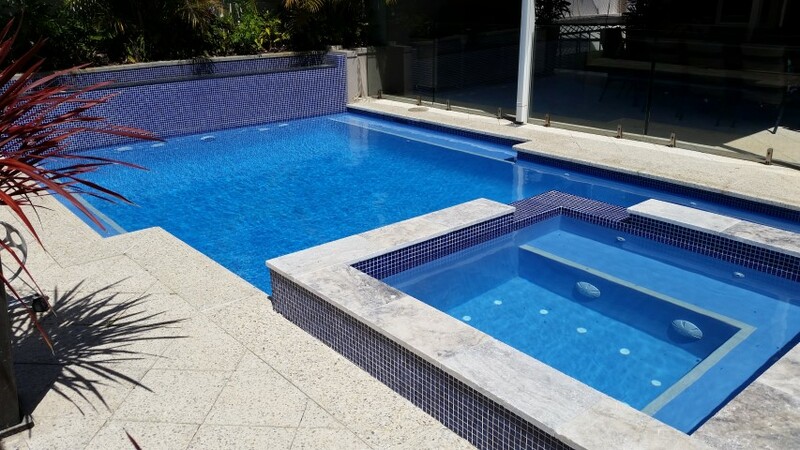 Contact Westralia Pools today on (08) 9307 1024 for a free quote.